The Nigeria Centre for Disease Control has confirmed that Since the beginning of this year, a total number of 107 suspected Lassa fever cases have been recorded in ten States. The states are; Edo, Ondo, Bauchi, Nasarawa, Ebonyi, Anambra, Benue, Kogi, Imo and Lagos States. 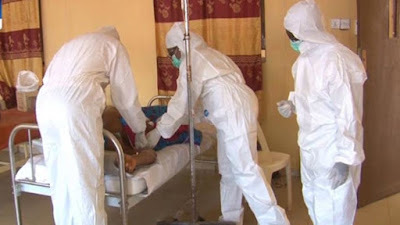 Ten health care workers have been infected in four States which are, Ebonyi – seven, Nasarawa – one, Kogi – one and Benue – one, with three deaths in Ebonyi State. It stated that Following the increasing number of Lassa fever cases reported from several States across the country, the Nigeria Centre for Disease Control has activated its Emergency Operations Centre (EOC) to coordinate the response to the outbreak on behalf of the Federal Ministry of Health.